Jade Roberts is a Sylvester Stallone lookalike based in the USA. Presenting also as an actor, model, impressionist and stuntman he’s appeared on TV programmes such as ‘Next Big Thing’, ‘Dallas’ and ‘Good Morning Texas’. He’s also undertaken various industrial assignments for Taco Bell, Frito Lay, Proctor and Gamble. Further claims to fame come with Jade Roberts appearances in stage productions such as ‘Legends In Concert’. You may have seen him in commercials for various companies in Nashville, Dallas, Santiago, Lisbon. Jade has also appeared in music videos, been on the radio and in print. We can also make reference to various promotional charity appearances. Michael Sylvester Gardenzio Stallone (/stəˈloʊn/; born July 6, 1946) is an American actor, film director, screenwriter, producer, and playwright. He is well known for his Hollywood action roles, including boxer Rocky Balboa in the Rocky series (1976–2015), soldier John Rambo in the four Rambo films (1982–2008) and Barney Ross in the three The Expendables films (2010–2014). Stallone wrote or co-wrote most of the 14 films in all three franchises, and directed many of the films. (Wikipedia). 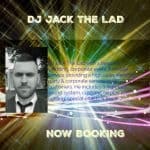 Book this entertainer today by filling in the form below with full details of the event you’re planning. Please give us as much information as possible – including an indication of your budget.